Blood pressure is the force or pressure that is exerted by blood pushing against the walls of the blood vessels throughout the body. The heart provides the pump that circulates the blood, forcing the blood through the vessels. During each individual heartbeat, this force moves the blood from the maximum (systolic) pressure to the minimum (diastolic) pressure. The cardiac cycle is this complete series of events within the heartbeat. What does the terms systolic and diastolic mean? Blood pressure is measured in millimeters of Mercury (mmHg). Blood pressure is commonly expressed in terms of the systolic pressure over (/) the diastolic pressure, i.e. 120/80. The highest point of pressure in the heartbeat cycle is the systolic measurement—this is the exerted pressure when the heart contracts. The lowest point occurs between heartbeats and is the diastolic measurement—this is the minimum pressure in the arteries when the heart is at rest. These categories are only a guideline; individual health status may vary based on age, gender, overall physical condition and even heredity of the user. Interpretation of individual measurements should be discussed and reviewed with a healthcare professional. What is high Blood Pressure / Hypertension? High blood pressure, also known as hypertension, is a common condition in which the pressure exerted by the blood pushing against the blood vessels is high enough to potentially cause health problems, including heart disease. This condition is dangerous as it causes the heart to work harder to pump the blood through the body. What causes high or elevated Blood Pressure? Genetics/family history of high blood pressure Chronic kidney disease Adrenal or thyroid disorders Hypertension generally develops over a long period of time, and often no symptoms are evident for much of that time. Monitoring blood pressure at home as well as regular visits with a healthcare professional is the best means to identify and care for high blood pressure. Extremely elevated blood pressure may result in unusually strong headaches, difficulty breathing and chest pains; seek medical treatment immediately if these symptoms occur. Atherosclerosis–a disease of the arteries caused by a buildup of plaque, or fatty material, on the inside walls of the blood vessels causing them to narrow and potentially limiting blood flow; high blood pressure contributes this buildup, putting added stress and force on the artery walls. Heart Disease–symptoms of this disease vary by type, several potentially serious conditions include: heart failure wherein the heart cannot adequately pump blood; ischemic heart disease wherein the heart tissue doesn’t get enough blood and hypertensive hypertrophic cardiomyopathy, also known as an enlarged heart. Kidney Disease–hypertension can damage the blood vessels and filters in the kidneys, resulting in the kidneys failing to excrete waste properly. Stroke–a stroke occurs when not enough blood gets to the brain. High blood pressure can contribute to atherosclerosis, causing blockages and clots, and can weaken the blood vessel walls causing them to rupture; both can lead to a life-threatening stroke. Eye disease/hypertensive retinopathy–damage to the very small blood vessels in the retina which causes headaches and vision problems. Hypertension is often called ‘the silent killer’ because many people experience little or no symptoms. The name hypertension can be misleading as the prefix ‘hyper’ may seem to indicate hyperactive, tense or nervous behavior; in fact, seemingly a calm and relaxed individual may still suffer from high blood pressure or hypertension. Home monitoring is a great way to help detect and monitor high blood pressure. Regular readings taken over a period of time can track the history of your results and indicate any changes, fluctuations or elevations in your blood pressure. An individual high reading is not necessarily an indication of hypertension or other health issue. Only your physician should diagnose any medical condition; the iHealth Blood Pressure Monitoring System offers a convenient way to record your history and share your results with your physician via email or by bringing the device to a doctor’s visit for review. What are some treatments for high blood pressure? The most important treatment for high blood pressure is lifestyle change. Drug therapy with antihypertensive medications is also available for most people. Positive lifestyle changes are always a good idea, however any treatment for lowering your blood pressure should be reviewed and endorsed by your physician. Losing weight/maintaining a healthy weight for your body type Quitting smoking Eating a healthy diet, such as the DASH diet (refer to section 10) Reducing the amount of salt in your diet Regular aerobic exercise Limiting alcohol consumption The goal of any treatment is to reduce your blood pressure to normal levels and maintain your blood pressure at an ideal rate. What type of diet should I follow to help manage hypertension? A healthy diet rich in fruits, vegetables and whole grains is a good idea for most people, and can be especially important and effective for people with hypertension. The DASH diet (Dietary Approaches to Stop Hypertension) is a physician-endorsed diet commonly recommended for lowering high blood pressure. The DASH diet calls for a certain number of daily servings from various food groups including fruits, vegetables and whole grains. This diet is endorsed by the American Heart Association and is the foundation for the USDA MyPyramid, the updated Food Pyramid. Eat more–fruits, vegetables and whole grains; low-fat proteins, including nuts; low-fat and non-fat dairy including milks and cheeses; nutrient rich foods containing magnesium, potassium and calcium. Eat fewer–foods that are high in saturated fat and cholesterol, especially fried foods; avoid processed sugars and sweets. When should I consult with my doctor about my blood pressure readings? If you are already diagnosed with high blood pressure, it is important to see your doctor on a regular basis. The iHealth app is a convenient way to store and share all of your measurement history with your doctor to assist in treating your condition with readings taken through this device. If you are not already diagnosed with high blood pressure but have concerns about the measurement results, it is suggested to see your doctor for an accurate interpretation and diagnosis of your health. Elevated measurement results that may indicate you are not responding to the doctor prescribed hypertension treatments, either drug therapy or lifestyle change. If you are experiencing any negative or unusual side effects from the prescribed blood pressure medication. Are there drugs that may cause high blood pressure? There are some prescription drugs that may cause or exacerbate high blood pressure, including amphetamines, Ritalin, corticosteroids, hormones (including birth control pills), migraine medications, cyclosporine and erythropoietin. Over-the-counter medications that contain pseudoephedrine and ephedrine may also cause high blood pressure. Allergy and cold medications and appetite suppressants often contain these ingredients. Always use caution when taking medications, and follow the label or physician instructions. Do not stop taking any prescribed medications, including high blood pressure management medications, without first consulting with your physician. Why should I monitor blood pressure from Home? Measurements taken at home can supplement and compliment the measurements taken at your doctor’s office. High blood pressure often displays no symptoms, taking your blood pressure frequently at home will help indicate a pattern of change or fluctuation in your blood pressure. Users with hypertension will benefit from more frequent measurements helping to determine if their blood pressure management drugs and lifestyle changes are working. Anxiety is a known factor in raising blood pressure. A visit to a physician’s office can be a stressful situation for a patient. The temporary occurrence of elevated blood pressure at the physician’s office is commonly referred to as “white coat hypertension”. Home blood pressure monitoring provides you with the opportunity to supplement your physician’s office measurements from the comfort of home. The Joint National Committee on Prevention, Detection, Evaluation, and Treatment of High Blood Pressure recommends screening every 2 years for adults with normal blood pressure histories, and yearly or more frequently for adults with a history of high blood pressure or pre-hypertension. How should I understand and interpret my measurement results? Following the guidelines set by the World Health Organization is a good place to start in understanding what your results may indicate regarding your blood pressure health. For adults, the ideal reading is less than 120 mmHg systolic pressure (top number) and less than 80 mmHg (bottom number). It is important to discuss with your physician what it the ideal blood pressure for your body type, lifestyle and overall health status. 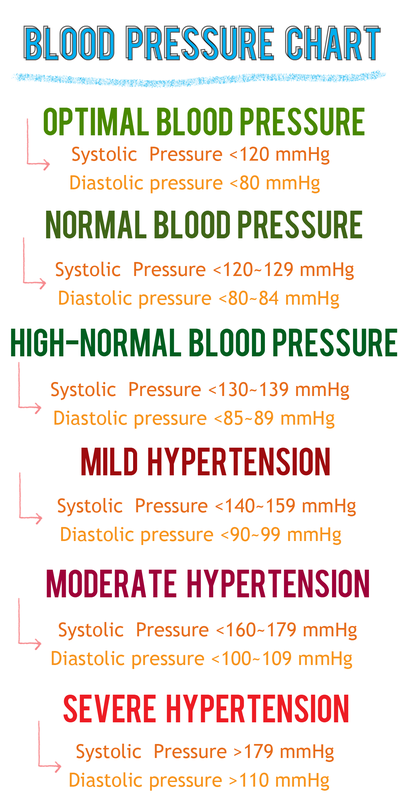 Often, a blood pressure measurement can read as artificially elevated for a particular reading. It is important to follow the guidelines provide on the iHealth and in your operation guide to properly prepare for the reading and use this device. If you feel your measurement is incorrect, wait several minutes and reattempt the measurement; try and remain calm and relaxed so as not to artificially inflate the results. This iHealth device also features Irregular Heartbeat Detection. If an irregular heartbeat, or arrhythmia, is detected during the measurement, the Irregular Heartbeat icon will display on the results screen next to the pulse measurement. Consult with your physician regarding arrhythmia and if this icon appears frequently. Good info. If you can give list of low potassium Indian food list will be appreciated. A very comprehensive answers to all my questions about Blood Pressure – now I will understand better what my doctor is telling me!